As you know, AAPL has had a nice correction since the September highs when it hit $700 a share. At the time we pointed out the negative divergence in place via the MACD. 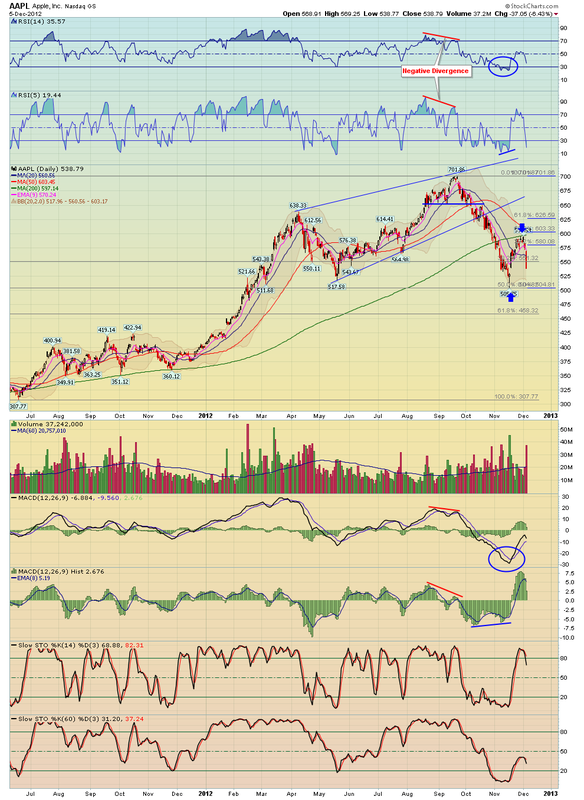 In mid November AAPL bounced along with the general market, however it stopped dead at the 200 day MA and today AAPL lost about -6.5% which was the biggest down day in years on a percentage basis. 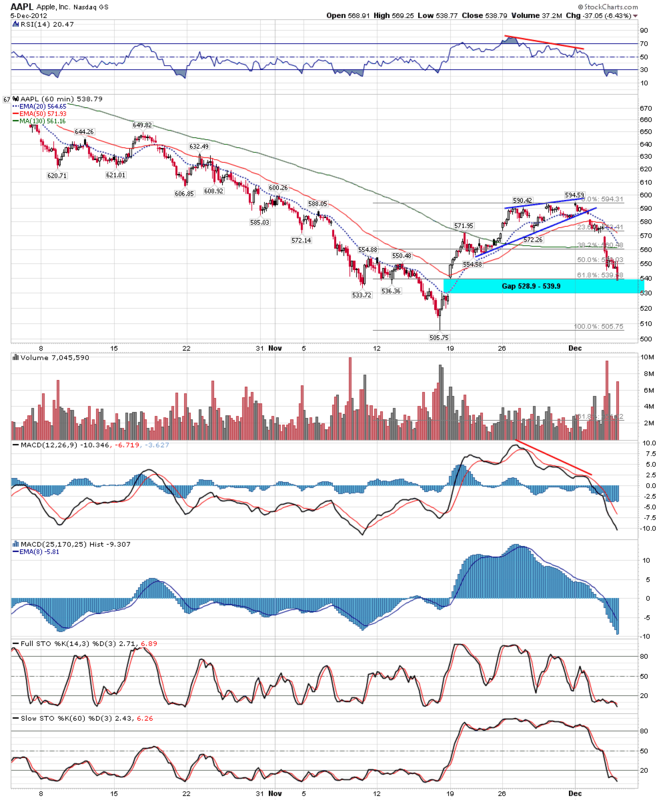 The second chart shows a 60 min chart, notice the bear wedge that had setup with negative divergence. One target to watch on this downside would be a fill of that gap below which is 528.9 - 539.9, at minimum I think that gap will be filled. 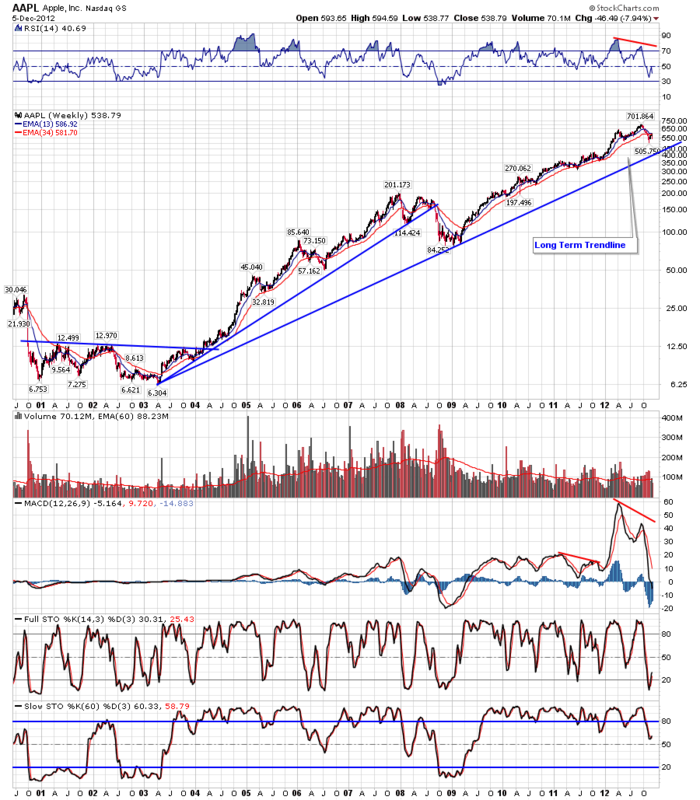 The third chart shows a weekly chart of AAPL. Note the long term uptrend line back to 2003.